According to the Statistical Center of Iran, the population amounted to about 81 million in Marh 2018. According to the latest census, the population of the Islamic Republic of Iran was 79.93 million in March 2017. Males accounted for 51 per cent of the total population, compared to 49 per cent for females, with a ratio of 104 males to every 100 females. The average family size was 3.3 people. The official statistical data indicated that the average population growth rate for the five years from March 2012 to March 2017 was 1.79 per cent. Muslims account for 99.4 per cent of the population (Shiites 90-95 per cent, Sunnis 5-10 per cent), others (including Zoroastrians, Jews and Christians) make up 0.3 per cent and the remaining 0.4 per cent is unspecified, according to the CIA World Factbook. 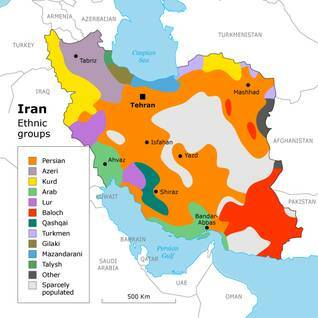 Iran is ethnically diverse, although the government does not disclose any information about ethnicity in its statistics. However, most sources confirm that Persians represent 61 per cent of the population, followed by Kurds (10 per cent), Lurs (6 per cent) and Baloch (2 per cent). Other ethnicities account for the remaining 21 per cent, including Azerbaijanis (16 per cent), Arabs (2 per cent), Turkmen and Turkic tribes (2 per cent), as well as Armenians, Assyrians and Georgians. The languages spoken include Persian (official), Azeri Turkic and Turkic dialects, Turkish, Kurdish, Gilaki, Mazandarani, Luri, Balochi and Arabic. Iranian society can be described as young, as 49 per cent of the population is below 30 years old, and 24 per cent is in the 0-14 age group. While about 70 per cent of the population is between 15 and 64, only 6.1 per cent is aged 65 and over. The fertility rate is among the lowest in the world, standing at 1.97 children per woman in 2017. The average life expectancy was 74 years (72.7 for men and 75.5 for women). The population density is 49.15 people/km2, according to the 2018 population census. The population in urban areas is 74.9 per cent of the total population, most of which is concentrated in the north, north-west and west of the country. Tehran is the largest city, the administrative capital and the main commercial centre. It has a population of 8.7 million, making it one of the largest cities in the Middle East. Mashhad, in the north-east, is the second largest city in Iran (3.4 million). Other major cities are Isfahan (2.2 million), Karaj (1.97 million), Tabriz (1.8 million), Shiraz (1.9 million), Qom (1.4 million) and Ahwaz (1.1 million). The central government has always had to take the diversity of its population into account and assures that all ethnic groups are represented in the government. Nationalism, the sense of being Iranian, is a strong sentiment among many, but some ethnic groups criticize the government for disadvantaging them. There is also mutual criticism among the various ethnic groups and jokes that characterize each other in an often unflattering way. Moreover, several groups that struggle for more political influence, economic advancement, cultural freedom, or even independence are active in Iran. In the south-western province of Khuzestan resistance to the central government varies from occasional demonstrations to sporadic bomb attacks. Its oil resources make Khuzestan important to the central government. Since the discovery of ‘black gold’ in the early 20th century, many have moved to Khuzestan in search of work. Because of this influx of workers the original Arabic-speaking population has become a minority. Furthermore, although the Arab minority of Khuzestan is living on a goldmine, it is one of the poorest ethnic groups in the country. They are at a disadvantage in the labour market and education and have little political influence. The Kurds, most of whom live in western Iran, are also discriminated against by the central government. Many Kurds support the idea of a greater Kurdistan and are willing to fight for that cause. Kurdish-Iranian history is filled with periods of conflict and rebellion against the central state. At the end of World War II, a small part of Iranian Kurdistan was declared independent, but the Republic of Mahabad was short-lived; after less than a year the central government retook control of the area. During the revolutionary year of 1979 Kurdish fighters again succeeded in taking control of large parts of provinces inhabited by Kurds, but the new Islamic Republic tolerated no Kurdish nationalist demands for autonomy. Clashes soon broke out with forces of the central government, upon which Ayatollah Khomeini declared jihad (holy war) against the Kurdish fighters. In the end, the Kurdish resistance was defeated. In recent decades, occasional demonstrations followed by suppression of activists have taken place in some Kurdish areas. Sistan and Baluchistan, in south-eastern Iran, comprise perhaps the largest but also the poorest, least developed, and most desolate region of Iran. It harbours the busiest drug-trafficking route between Afghanistan and Europe. The Baluchis, who are mostly Sunni, have complained for years about discrimination by the central government. From 2007 onwards sporadic bomb attacks have taken place in the provincial capital, Zahedan. Most attacks have been directed at the military, the Revolutionary Guards, and government officials. The Iranian authorities have attributed them to armed separatists, foreign elements, and drug traffickers. Shiite Islam is based on a fundamental dichotomy in the community of believers, between muqallads (‘those who know the doctrine well’) and muqallids (literally, ‘those who follow’). The first category comprises mujtahids, religious scholars who are authorized to engage in their own interpretation (ijtihad) of the Koran and Islamic law. This authority is conferred upon a mujtahid by his master, after many years of study at one of the centres of theological education in the Shiite world, which, besides Najaf, Karbala, and Kadhimiya in Iraq, include Qom and Mashhad in Iran. As laymen, muqallids are expected to follow the religious directives (fatwas) of the mujtahids and pay their religious tax (zakat, khums) to them. These taxes are used for the upkeep of religious institutions and for the support of the needy. Depending on his level of knowledge, a religious student acquires successively the honorary titles Thiqat al-Islam (Trust of Islam), Hujjat al-Islam (Hojatolislam, Proof of Islam) and Ayat Allah (Ayatollah, Sign of God). A prominent ayatollah (based on his fame and the number of his followers) is denoted as Marja al-Taqlid (Source of Emulation), and is given the honorary title Ayat Allah al-Uzma (Ayatollah al-Ozma, Grand Ayatollah). The fatwa of the Marja al-Taqlid is the last word on all questions for the faithful Shiite – everyone is expected to follow the directives of a living Marja al-Taqlid. There are generally several Maraji al-Taqlid at a given time. Collectively, the highest Shiite religious leadership are designated as the Marjaiya (collective of Maraji al-Taqlids) and the educational institutions and the staff connected with them are the Hawza Ilmiya (Area of Knowledge). Sunni clergy do not have a comparably rigid hierarchical structure, and there is a looser connection between the ordinary believer and the religious functionaries and scholars. They are distinguished by their functions: the imam (leader of communal prayer), the qadi (judge), and the mufti (legal scholar). Like his Shiite colleagues, the latter has authority to issue fatwas. In many cases, those in the higher religious circles have had years of study at Cairo’s prominent al-Azhar University. Among the Sunni the faithful also pay a religious tax to religious functionaries. 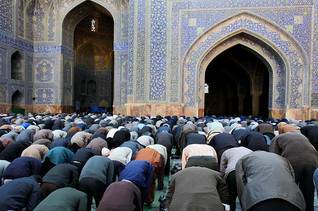 Approximately 98 percent of the population of Iran is Muslim. Muslims are divided into two groups, going back to the early years of Islam. After the death of the Prophet Muhammad in 632 CE, there arose two different camps within the umma (Muslim community) with regard to his succession, the Sunnis and Shiites. The designation ‘Shiite’ goes back to the Arabic term shiat Ali (Party of Ali). The followers of Ali ibn Abi Talib, the cousin and son-in-law of the Prophet Muhammad, were united in this party. On the basis of personal promises believed to be made by Muhammad, Ali obtained the leadership within the umma (his party termed this leadership the imamate) for himself and his descendants. The Sunnis, whose name derives from the sunna (the tradition of the Prophet) argued for rule by a chosen leader (which rule they termed the ‘caliphate’). Although Ali, regarded by the Shiites as their first imam, was chosen as the fourth caliph by the Sunnis (as successor to the caliphs Abu Bakr, Umar, and Uthman), the conflict between the two main branches of Islam over leadership escalated after his death. That conflict ended in 680 CE, with the battle near Karbala, where the Shiites, now led by one of Ali’s sons, Imam Husayn, were defeated in an unequal contest. Husayn and his comrades were slain there. Every year Shiites commemorate these dramatic events during Ashura, the tenth day of the month of mourning known as Muharram (Ashura means tenth in Arabic). During gatherings known as husayniyyas, the vicissitudes of Imam Husayn and his companions and brothers-in-arms are recounted, and often reenacted, by an alim (cleric), while large processions are held in the streets, with men symbolically chastising their flesh. Shiites reproach themselves for not offering Imam Husayn support at the time. According to Muslim custom, forty days after the death of a person, a day of commemoration for the deceased – here Imam Husayn – is observed: al-Arbainiya al-Husayniya (The Fortieth of Husayn; forty days afer Ashura). Shiite Islam received a powerful stimulus when it was elevated to the state religion by the Safavid dynasty in neighbouring Persia in the 16th century, and it spread gradually through the Sunni population. Since then, pilgrims and religious students from Persia/Iran and from Shiite communities elsewhere in the Arab/Islamic world, particularly Lebanon, have made their way to the ‘holy cities’ of Najaf and Karbala in Iraq. These movements led to social, political, and economic contacts among these communities, which are still important today. There are five obligations – called the Five Pillars of Islam – incumbent on all Muslims: the confession of faith (‘There is no God but Allah, and Muhammad is His Prophet’), prayer five times a day, the giving of alms, fasting during the month of Ramadan, and pilgrimage to Mecca. 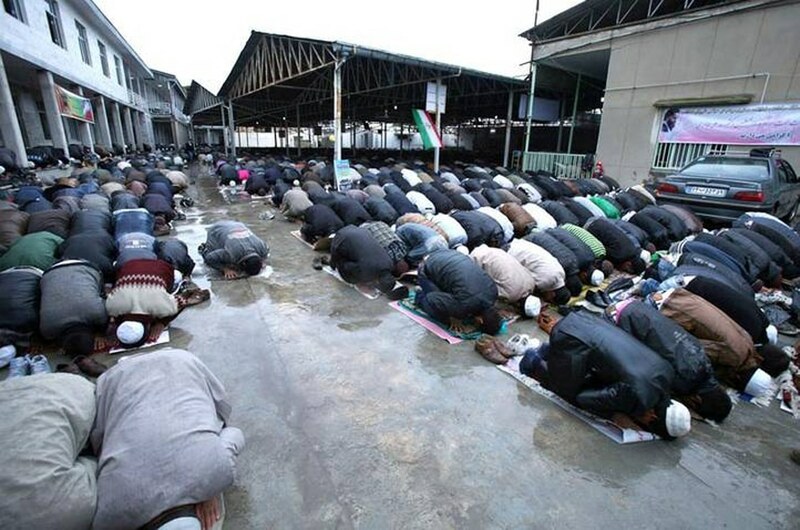 Shiites attach almost equal value to a pilgrimage to their holy cities of Najaf and Karbala. To the Five Pillars can be added the obligation of every Muslim to engage in jihad, the struggle to defend the community of believers (umma) against attacks by the infidel. 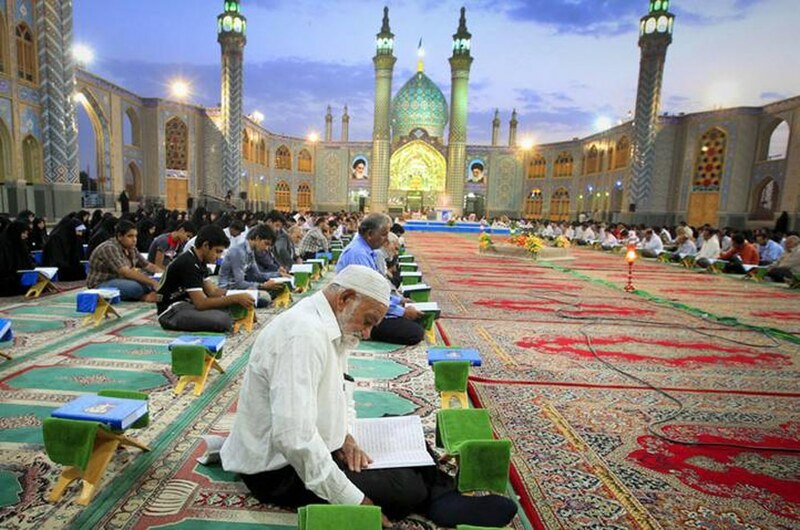 Sunni Muslims (estimated at 9 percent of the country’s population) are the largest religious minority in Iran. They consist mainly of the Kurds in the north-west, the Baluchis in the south-east, and the Turkmens in the north-east. Iranians belonging to non-Muslim religious minorities make up only 2 percent of the population and include Christians, Bahais, Jews, and Zoroastrians. The number of Christians is not precisely defined, but the authorities estimated in 2016 that it was about 90,000. The Open Doors human rights organization put that number much higher, at 500,000 Christians of various denominations, including Protestants, Armenian Orthodox, Chaldean Catholics and approximately 15,000 Roman Catholics. Followers of the Bahai faith are the largest non-Muslim religious minority in Iran (300,000 people). Shiite religious leaders consider this doctrine to be heretical, and its followers have been persecuted since its founding in 1844. Persecution has intensified since the Islamic Revolution in 1979, and Bahais have been denied civil rights, higher education and employment. 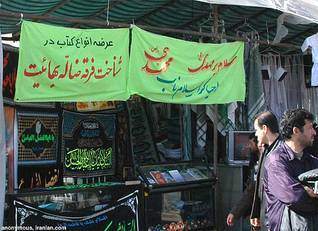 Historically, the oldest Jewish groups in the Middle East have lived in Iran. Before the revolution, the number of Jews ranged from 75,000 to 80,000. In recent decades, large numbers (about 60,000) have migrated, as other non-Muslim religious minorities have done. Currently, some 30,000 Jews live in Iran, which is the largest Jewish community in the Middle East outside of Israel. According to the Iranian Constitution the official religion of Iran is Islam, and the doctrine followed is that of Jafari (Twelver) Shiism. About 90 percent of the population is Shiite. Other Islamic schools are to be fully respected. Zoroastrians, Jews, and Christians are the only recognized non-Islamic religious minorities officially recognized under the 1979 Constitution; they are, as People of the Book (Ahl al-Kitab), guaranteed freedom to practice their religion. Followers of the Bahai faith are persecuted. Christians, Jews, and Zoroastrians are each permitted to elect one representative to the Majles (Parliament) and, like the other legally accepted minorities, may seek employment in the government. Although they generally enjoy the same civil liberties as Muslims, there have been reports of harassment and religiously-based discrimination against members of the recognized religious minorities. Because Sharia (Islamic law) governs the personal status of Muslims, conversion from Islam to Christianity is forbidden, and apostasy by a Muslim is punishable by death. There are, however, some missionary groups in the country. Iran has made significant progress in achieving its Millennium Development Goals. Iran’s population enjoys an average quality of life that is near the top of the middle-level development category. 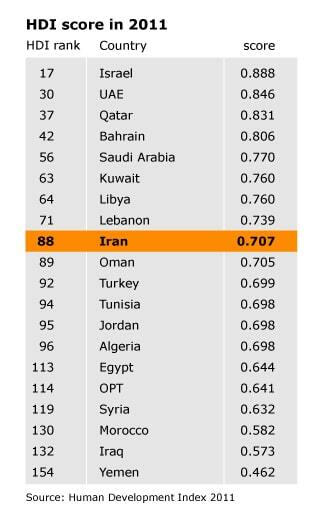 Iran is 69th of 187 countries on the Human Development Index 2015, placing the country in the higher-medium range of the list’s ranking, ahead of Jordan and Morocco but behind Kuwait, Qatar and the United Arab Emirates. According to the United Nations Development Programme, Iran lacks reliable data on subjects such as the economy, mortality, nutrition, and the environment, making an assessment of Iran’s development difficult. The Iranian government put the official unemployment rate at 10.5 percent in 2014. The poverty headcount ratio at 2 US dollars purchasing power parity (PPP) per day – has fallen to 8.03 percent in 2005 from 13.83 percent in 1986. The food-poverty line has decreased significantly, from 12.8 percent in 1995 to 9 percent in 2002, for those people unable to take in the minimum recommended calorie intake stipulated in nutrition standards. According to the World Bank, half of Iran’s poor – about 4.5 million people, or 1.5 million households – benefit from social coverage by government social-safety-net programmes, charity institutions, and other non-profit organizations. However, in a 2009 report the World Bank warned that much of that support is only partly effective and is not specifically targeted towards the poor. For example, richer households benefit more from subsidies on food and especially energy than do poor households. With a population of almost 74 million, Iran is one of the most populous countries in the region. It has a large proportion of young people and one of the largest refugee populations in the world. Iran’s population doubled from 27 million in 1968 to 55 million in 1988. In the years following the Revolution the population growth rate reached an all-time high of 3.2 percent in 1986. Although no specific population policy was introduced after the Revolution, the new regime adopted a pro-natalist approach. Family planning was seen as a Western influence, and contraception was no longer promoted. A large population was also seen as an advantage in the 1980-1988 war with Iraq. However, the total fertility rate in Iran declined from 1984 onwards. After the war the Iranian leadership revised its policy on family planning. With urgent economic tasks, job shortages, and overcrowded cities, population growth was seen as detrimental to development. The family-planning programme was implemented in 1989. Various government agencies were mobilized to diffuse ideas about the value of small families and about methods of family limitation. Women were encouraged to wait three to four years between pregnancies, maternity-leave benefits were restricted after three children, and women under 18 or over 35 were discouraged from having children. Moreover the use of all types of contraception, including permanent male and female sterilization, is allowed. Birth control – including condoms, pills, and sterilization – is free. The rate of use of contraceptives has risen from 37 percent in 1976 to around 81.5 percent in 2000. The new family-planning policy proved successful. The total fertility rate declined beginning in the mid-1980s and fell sharply after 1989, dropping from 5.5 in 1988 to below 2.8 in 1996, a decline of more than 50 percent in six years. Fertility rates are lowest in the cities, because the level of education, the use of modern contraceptives, and the age at marriage are highest there. While the gap between urban and rural areas was considerable in the early 1970s, it is now narrowing rapidly. In 2000, the total fertility rates in urban and rural areas of Iran ranged were about 1.9 and 2.4 percent, respectively. The overall population growth rate dropped from 3.2 percent in 1986 to 1.2 percent in 2001, one of the most rapid declines ever recorded. In fifteen years Iran has emerged as a model for other countries that want to accelerate the shift to lower growth rates. Iran’s scarcity of water and decreasing per capita arable land make population growth control a vital matter. The fertility rate will probably decline further in coming years, especially because of urbanization and rising educational levels. In 2012 an estimated 86 percent of the total population aged fifteen and over could read and write (about 86 percent of the male population and 75 percent of the female population). The level of girls’ education has risen, and the gap between male and female education has shrunk. The effects of the post-revolutionary baby boom on the age structure of the population are considerable. Almost a quarter of Iran’s population is under the age of fifteen, and growth seems inevitable in the immediate future. To keep growth rates low, Iran will have to continue to emphasize the value of smaller families. 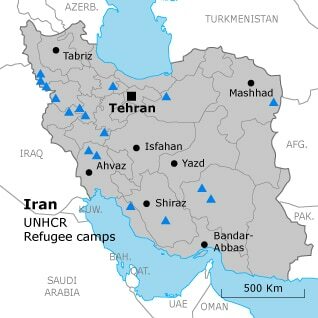 With more than a million refugees within its borders, Iran is second only to Pakistan in refugee-hosting countries (UNHCR, since 2007). Iran is home to various refugee populations, of which an estimated 80 percent are Afghans and 10 percent Iraqis. Other refugees include Tajiks, Bosnians, Azeris, Eritreans, Somalis, Bangladeshis, and Pakistanis. At the high point in 1991, four million refugees lived in Iran, 3 million Afghans fleeing the Soviet invasion and 1.2 million Iraqis leaving Iraq during the Iraq-Iran War (1980-1988) and the Kuwait Crisis (1990-1991). During the war with Iraq (1980-1988) hundreds of thousands of Iranians fled their homes. The Iraqi invasion of the south-western province of Khuzestan (1980) caused immense damage to residential areas in the border area, such as Abadan and Khorramshahr. The province’s other major cities, Ahvaz and Dezful, came under heavy shelling. During the occupation of Khuzestan 1.5 million refugees were sheltered in Shiraz, Tehran, and other cities. Even after the area was recaptured in 1983, fighting and Iraqi airstrikes continued to displace civilians in search of shelter and food. Afghans living in Iran can be divided roughly into three groups: those who fled during the communist rule in Afghanistan (1978 until April 1992) and who were given refugee status and a residence permit; those who entered Iran after the fall of the communist regime and who were registered, but whose status is unclear; and those known as the ‘unregistered’ or ‘illegal’, including all Afghans who have come to Iran since 1992 without registering with the authorities. Throughout the years Iran has carried most of the burden of its refugee population. According to Iranian estimates, expenditures on all refugees totalled USD 20 billion from 1979 to 1995. In comparison, the UNHCR spent more than USD 1 billion on Afghan refugees in Pakistan but only USD 150 million on those in Iran between 1979 and 1997. Ever since the fall of the Afghan communist regime the Iranian authorities have pushed for the repatriation of Afghan refugees. Efforts in the 1990s failed largely because of new flows of refugees fleeing the violence caused by the Afghan civil war. After the US-led invasion of Afghanistan in 2002, however, a new repatriation programme began, with the assistance of the UNHCR. More than 1.5 million have since returned to Afghanistan, including 918,263 with UNHCR assistance. Still, the amount of illegal backflow of Afghans is unknown. Many Afghans travel back and forth between Iran and Afghanistan. Over 60 percent of the refugees have lived in Iran for more than fifteen years, because returning home is difficult. Security, better health care, and – especially – employment and higher salaries encourage many Afghans to remain in Iran. Afghans working in Iran earn an average of USD 320 a month, compared with USD 80 in Afghanistan. According to a 2008 study commissioned by the UNHCR and the International Labour Organization (ILO) Afghans working in Iran send home about USD 500 million annually, equivalent to 6 percent of Afghanistan’s gross domestic product (GDP). According to the survey, the Afghan issue has become ‘a labour migration issue, not a refugee migration issue’. Most of the Afghans working in Iran are doing so illegally. Only 2 percent of the Afghan population in Iran live in refugee camps; the rest live mostly in poor urban areas or in the countryside, wherever they happen to work. Most Iraqi refugees – Arabs, Kurds, and others – fled Iraq to escape persecution under Saddam Hussein’s regime. In addition, during the eight-year war with Iran, the Iraqi regime deported many Iraqi citizens, among them Feyli Kurds (a Kurdish Shiite community in western Iran) and persons with Iranian ancestors who had, in many cases, lived in Iraq for several generations. Approximately 700,000 refugees entered the country in 1988, after the Iraqi regime’s chemical-weapons attack on the Kurdish town of Halabja. After the Kurdish area of northern Iraq became a de facto autonomous area during the Kuwait Crisis of 1990-1991, most of these refugees returned. In 1991 more than a million Shiite Arabs from southern Iraq fled to Iran to escape Hussein’s crackdown on a Shiite rebellion. Many have since returned to Iraq, but there were still approximately 32,000 longstanding Iraqi refugees, mostly Arabs and Feyli Kurds, at the end of 2015. Most of them are reluctant to return until stability and law and order have been re-established in their home country. In recent decades Iran has experienced significant emigration and immigration simultaneously. While having one of the highest brain-drain rates in the world, it was often the world’s leading refugee-accepting country. Emigration since the 1950s has taken place primarily during three periods. The first wave (1950-1979) was caused mainly by the economic setback after World War II and the relatively rapid changes towards modernization in Iranian society. Middle-class families were motivated to send their children abroad for higher education in order to ensure their social status and economic security upon return. In 1977-1978 an estimated 100,000 Iranians were studying abroad. In the 1970s many opponents of the authoritarian regime of Mohammad Reza Shah Pahlavi evaded arrest (or worse) by taking refuge in foreign countries, including those of Western Europe. After the Revolution, many stayed abroad and had their families join them. This first wave of emigrants also included people who were closely associated with the Shah’s regime and people belonging to religious minorities fearing prosecution. During the second phase, which began just after the Revolution, it was mostly leftists and liberals who fled the country. After the beginning of the war with Iraq in 1980 many young men fled the country in order to avoid the military service. During this period many highly educated professionals fled, contributing to the brain-drain. The third phase started around 1995 and has continued to the present; it includes two groups, the highly educated, most of whom chose to settle and work in Europe and North America, and a new group of labour migrants and economic refugees, who often travelled to South-East Asia and to the Arab states of the Persian Gulf. The net migration rate was estimated at -3.28 migrants/1,000 population in 2008, and -0.13 in 2011. The main causes of emigration are the economic crisis and the violations of human rights. According to the United Nations High Commissioner for Refugees (UNHCR), in 2015 there were 123,413 refugees, asylum seekers, internally displaced persons (IDPs), and other persons of concern inside and outside of Iran. Germany and the United States hosted the largest populations of Iranian refugees, 39,904 and 20,541, respectively. Although migration numbers fluctuate, brain drain has remained a major problem. In January 2006, the International Monetary Fund (IMF) claimed that Iran ranks highest in brain drain among 91 developing and developed countries. An estimated 150,000 to 180,000 highly educated people are leaving the country each year. According to the World Bank’s World Development Indicators (WDI), Iranian workers’ annual remittances and compensation of employees transferred back to Iran increased from USD 536 million in 2000 to USD 1.39 billion in 2011. Estimates of the size of the Iranian diaspora vary between four and five million. Most Iranians outside of Iran live in North America, Europe, the Persian Gulf states, Turkey, Australia, and the Middle East. Significant communities in India and Pakistan claim Iranian ancestry. Most of the Iranians in the United States are concentrated in California. 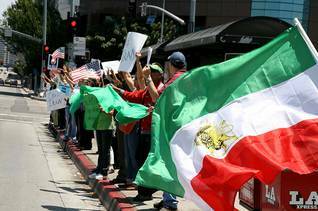 The American Census Bureau in 2002 estimated that the Iranian-American community (including the US-born children of Iranian foreign-born) numbered around 330,000, but other sources cite numbers ranging from 691,000 to 1.2 million. 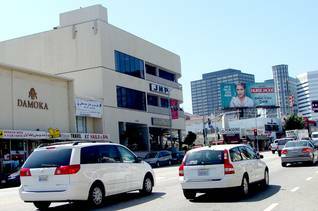 Many American-Iranians live in what has come to be known as Tehrangeles, the western part of Los Angeles between Pico Boulevard and the University of California.